Need an appetizer in a pinch? Try this egg salad dip that’s ready in just five minutes. 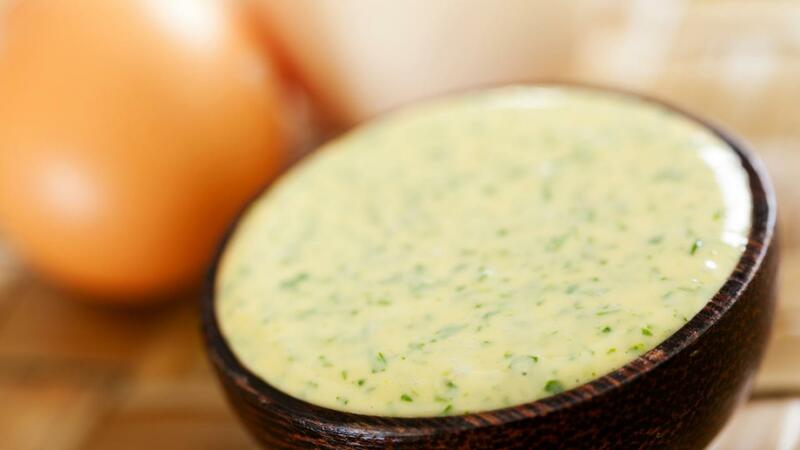 Blend hard boiled eggs with yogurt, Dijon mustard, green onion, basil and fresh dill. Enjoy this creamy dip with pita, vegetables, crackers and more. Make a batch and stow it in the fridge. Stays fresh for up to three days. Combine eggs, yogurt, Dijon mustard, green onion, dill and basil in medium bow; stir until blended. Chill until ready to serve. Use within three days. Makes about 1 1/2 cups (375 mL) dip. Serve with fresh cut-up vegetables, endive wedges, crackers, pita or bagel chips.